We have a considerable expertise and experience in developing designs for repair design of structures including all types buildings and infrastructure. With a wide range of performance deficiencies and client needs, each of our repair projects is unique. We have in-depth knowledge of current and historic construction materials for historic restoration projects. We can investigate how the structure was originally designed and built, review repairs made over the life of the structure, analyze/design replacements to simulate obsolete construction materials, and develop repairs to restore the structure. In addition to our in-house engineering services we also offer a suite of testing and consulting services to address structural performance, durability and life-cycle serviceability with the most progressive repair and restoration techniques available in the construction industry today. Structural repairs and rehabilitation is a process of reconstruction and renewal of a facility or its structural elements. This involves determining the origin of distress, removing damaged materials and causes of distress, as well as selecting and applying appropriate repair materials that extend a structure’s life. Structural strengthening is a process of upgrading the structural system of an existing building or facility to improve performance under existing loads or to increase the strength of structural components to carry additional loads. Unfortunately, there is no single solution that offers a simple, straightforward method for all repair and strengthening projects. 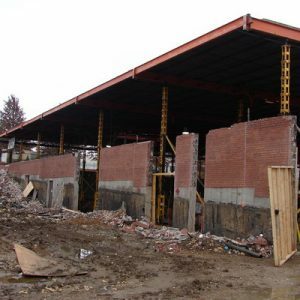 Further, the processes of repair and retrofit of existing structures are complicated because most of these structures are occupied, and much of the mainstream construction community’s expertise is centered on new construction. However, success can be achieved if the repair and strengthening systems are tailored to serve a structure’s intended use without interfering with its occupants or function. 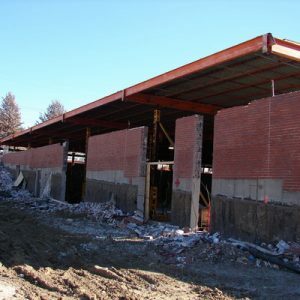 The key to success is a combination of the different design skills and application techniques—structural strengthening and structural repair—necessary for such projects. As such, the engineer must relay on his or her expertise in using mechanical and structural behavior principles to develop a comprehensive retrofit solution.